Great Deal! Two bedrooms unit for rent incl. bills &amp; partly furnished for only 330/week! The whole unit is yours. Suit for someone who do Not like to share with strangers. Rarely opportunity like this great deal!!! 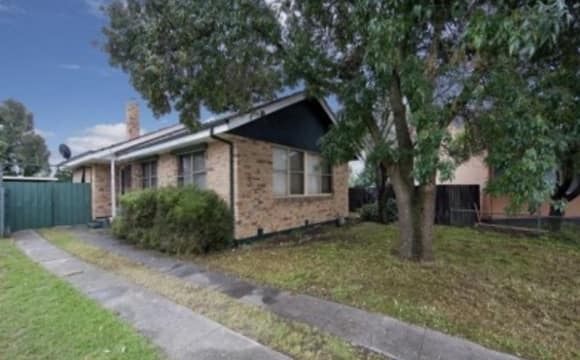 Available on the 1st May 2019 - Convenient location in Altona Meadows! - Only 7mins Walk to shopping Centre, Train station &amp; bus stop, - Zone 1 train station (Laverton), - M1 freeway just around the corner, - Within 20 mins to Footscray ⁄ Victorian university, - 30mins to Melbourne CBD / RMIT - Only two train stops to the Faculty of Veterinary &amp; Agriculture (U-Vet Werribee Animal Hospital and Werribee campus), You are welcome to contact for inspection! 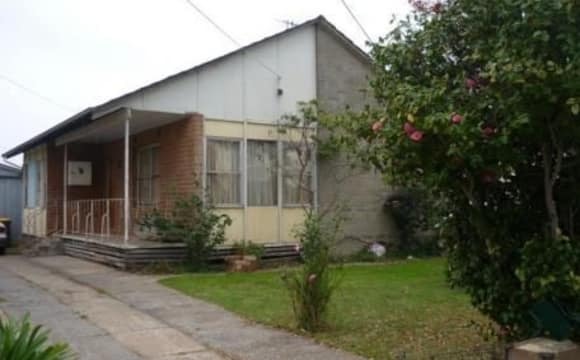 House is $170 a week, $736 a month including bills, NBN internet and netflix. Price for a couple of family $210 a week, $910 a month. 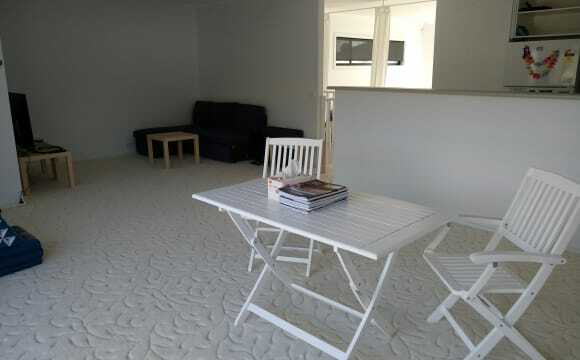 Location is 30 mins drive to the CBD Close to central shopping centre, bus stops, Laverton station and skeleton creek. The house has evaporative air conditioning and ducted heating. We have one or two small/medium rooms available for one person, couple or a family. Bedrooms have BIR. Will have own bathroom with seperate toilet. Bedroom can come furnished, we have a spare queen mattress available. We have a back shed area which is insulated and decked out with a tv port that can be used as your own area. A decent sized backyard with a cubby and slide. NOT JUST A ROOM! SPACIOUS, IMMACULATE 23sq HOME. More info and pics below. Beautiful French Provincial inspired Furnished Room with own bathroom is available for rent. Set in a Beautiful Modern Home the clean and freshly painted room comes with fully fitted double bed, a large window with blinds for abundant fresh air and sun during the day whilst keeping the room warm and cozy at night, a large built in robe with a lot of space for fashionista, and a large TV with Netflix (including in rent!) Occupant of the room will also enjoy a large modern bathroom with separate toilet, fully equipped kitchen and WI-FI. There is solar system in the house for minimum electricity bill. The house is located in a quiet court of a lovely neighbourhood with ample of parking. Our house is located near to a central Square shopping centre and Altona Beach. We have Netflix, good speaker and enough space in the pantry for keep your food good. About the price of the rent for couples will be 200 per week. 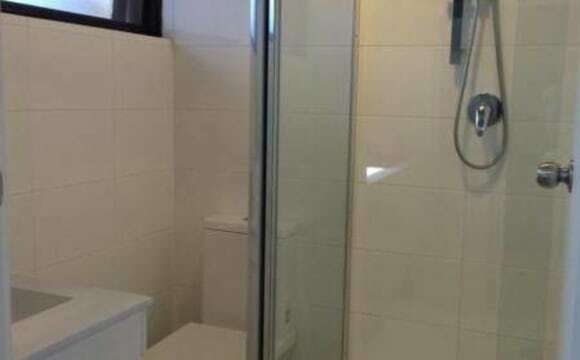 This property is newly built and the room comes with you're very own washroom. The room has its own aircon with a window to fill the room with natural light. The room has a double wardrobe with plenty of storage space. Downstairs you will find a good sized living room, laundry, powder room and spectacular kitchen with all new appliances. The property is located at a secure location with security camera at the front door. It is only 5 minutes walking distance from Laverton station and would take you another 20 minutes to reach the city by train. If you drive it is 5 minutes away from the freeway depending on the traffic. The house has a little backyard with clothes line and garden shed which you can use for storage. This house will give you the feeling of a home you have been looking for. All you need to do in return is to keep it like that if you decide to move in. Rest if you have a look at the property you will want to move in straight away. Fully furnished bedroom for rent. The sharehouse is 5 mins walk from Laverton train station, with frequent express trains 20 mins to Melbourne CBD. Various buses Werribee, Hoppers Crossing, Williams landing etc. 5 mins walk to take aways, cafes and shops. The room has a large window, wooden floor, wardrobe, single bed, desk and chair. The house is equipped with washing machine, new electric stove top and oven, microwave, fridge and other household appliances. There is a cleaning roster for all housemates. Rent does not include internet (unlimited cable 13mbps), gas, electricity and water, they are about $25 per week, shared with all housemates. Bond is 4 weeks rent amount. Lease 6 months minimum. No pets, smoking outside is ok. Feel free to ask any questions and arrange inspection. Please text or email me and I will get back to you. 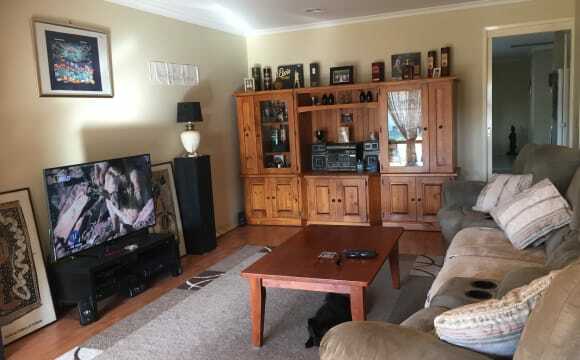 The house is 10 mins walk from Laverton train station, with frequent express trains 25 mins to Melbourne CBD, there are various shops, take aways and the gym next to the station. The house has a large backyard, and is equipped with washing machine, gas cooker, microwave, fridge and other household appliances. Housemates share the cleaning duties. The room has a wardrobe, bed, desk and chair. The current housemate are two young male workers working full time, looking for one housemates to share a quiet household. Smokers smoking outside is ok. Sorry, no couples, no room sharing. Housemate are to share bills equally, unlimited ADSL2+, gas, electricity and water, they are about $25 per week (more if you choose to use heater). Bond is 4 weeks rent amount. Lease length is negotiable. Feel free to ask any questions and arrange inspection, please text or email to request call back. 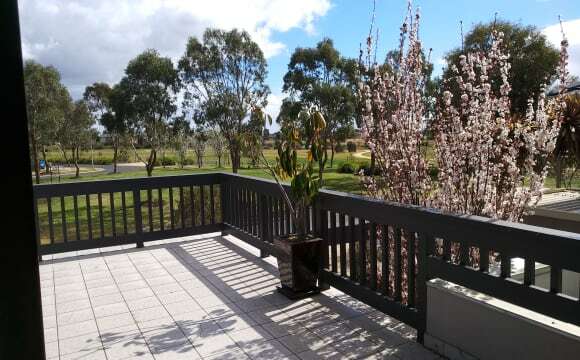 3 car parks, Very near to Laverton Station and have a huge front yard and back yard. All mates will be the freindly nature and the lover of BBQ. The house have 2 secure parking slots. Come and have a look. Hey! I have a room to rent in a very spacious and comfortable fully furnished beautiful home! Room is available furnished or unfurnished and you also have your own bathroom and toilet. There is also a furnished spare room for visitors. 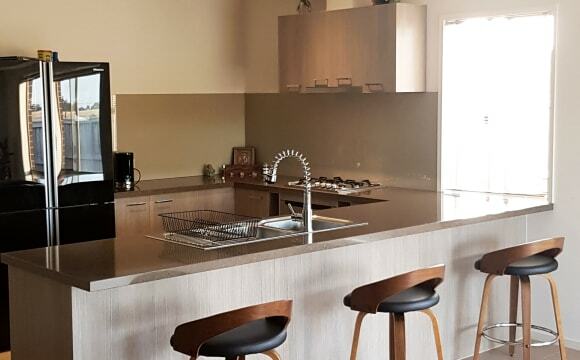 Very well equipped kitchen and furnished with everything that you would need but you are welcome to bring as much or as little furniture as you require. There is a lockable garage for extra storage if needed. Smoking outside only. Massive undercover outdoor entertainment area along side a backyard and vegie patch. I am an aussie chef. 31yrs old. 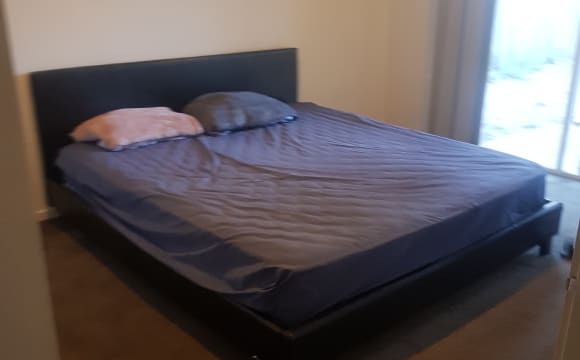 ***PLEASE ONLY SEND SMS INQUIRY BEFORE 5PM*** INCLUDES EVERYTHING (A/c, heater, dishwasher, washing machine and dryer) VERY CLEAN, TIDY, QUIET HOUSE ...NOT PARTY HOUSE Are you a Clean and Tidy person and looking for a Very Clean and Quiet place to live and study. Then this is it 1 x BEDROOM with DOUBLE size bed and ensuite attached (having own shower and toilet). INCLUDES EVERYTHING EXCEPT FOOD AND PERSONAL ITEMS. Room has bed, drawers, desk and chair, desk lamp, fan, built in mirrored wardrobe. Sharing with 3 young Asians. 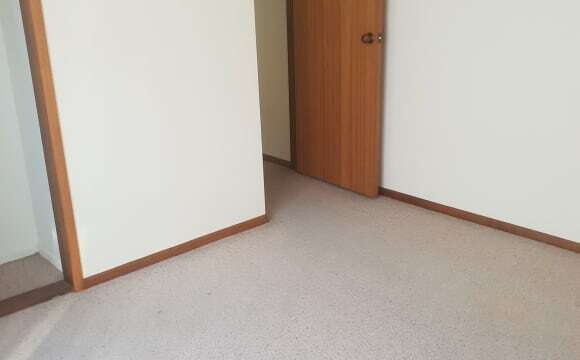 WEEKLY RENT INCLUDES: * Electricity, Gas and Water * Wi Fi internet (Unlimited) * Foxtel Now in living room *Common Area Consumables (Laundry Powder, Dishwasher liquid/tablets, Toilet rolls, Hand Wash, household cleaning products, Kitchen Cloths etc etc) PET FRIENDLY. NO SMOKING INDOOR AND OUTDOOR. SORRY NO COUPLE AND NO STAYING OVER NIGHT. Gated community with security. close to public transport, train. 5 min walk to the shopping center. Free access to local gym, pool, spar, sauna. Rooms are available from 17th April. Ideal share house with a resort lifestyle. The beach and sea are 2 minutes walk away, enjoy evening strolls along the waterfront, kite surfing, boating, swimming, fishing, jet skiing, bird-watching and other activities. Bike and walking tracks are aplenty. Literally, you will find many cafes, supermarket, banks, post office, gyms, chemists and a good supply of other retail shops in walking distance. Hi, my name is Elyn(30+). My partner (40+), my daughter and I live in the house. I'm a student in Mental Health. We are offering private rooms at our home in Altona, with a fully equipped kitchen, dining area, and newly built decking. Super easy public transport access - The Westona train station takes you into the heart of the city, a short train ride away zone 1. Off-street parking available by negotiation. The house had been renovated in Jun 2017 with all brand new furniture and entire house timber floor. All bedding, linens are included if you want. 1 brand new guests bathrooms with toilets and additional separated toilet are shared by our tenants in Room BC. Which means two people(Room B &amp; C) share 1 bathroom with toilet and 1 separated toilet. No pet. No party. No drunk drinking. No smoking. Room A $280 for 1 person Per week (Ensuite, double bed, desk, chair, lamp, bookcase, built-in-robe, door lock) Room B $220 for 1 person Per week (Queen bunk bed, desk, chair, lamp, bookcase, built-in-robe,door lock) Room C $200 for 1 person Per week (Queen bunk bed, desk, chair, lamp, bookcase, built-in-robe,door lock) (Rent includes unlimited Wi-Fi only. Split water, gas and electricity bills, appr. $10-20 pw) Lease term 2-month minimum (negotiable). Rent payable 2 weeks in advance. Bond = 2 weeks rent. 2 weeks notice before move out. Respond to this ad to register your interest and arrange an inspection. Please leave a brief description of yourself and your circumstances, as well as your mobile (for a phone interview, if shortlisted). PLEASE NOTE: A current police check and reference from past landlord are required. If not, other kinds of verification upon negotiation. You'll have room to store your things, its a great location if you work in the west. Plenty of car parking, the neighbors are lovely and my place won't be a party house. No informal leases. I will expect you to be approved by the real estate agent and your bond will be secured by the bond authority. Its close to the shopping complex and station. Parks and the stedium is just in a walk distance. 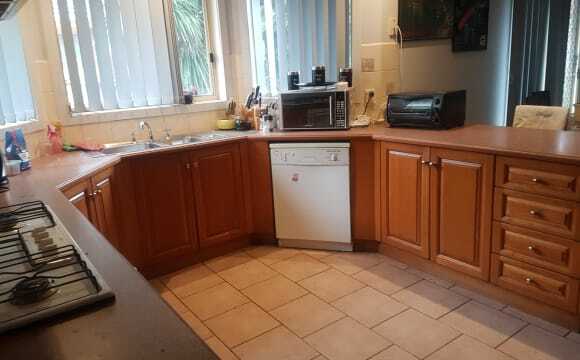 I am looking for 2 housemates to share the house with. There are 3 rooms available to choose from. Shared bathroom between the 2 of yous. There are tennis, soccer cours walking distance from our home. Close to amenities. 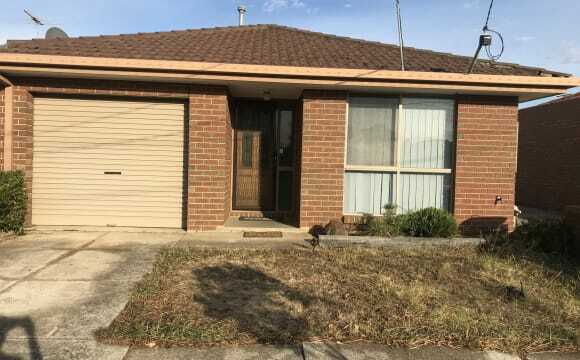 Close to public transport, friendly atmosphere, very quiet, close to city on border of Laverton nth close to freeway and markets, McDonalds and petrol station. Few parks close by. Neighbours quiet, hassl and drama free area. Located in the beautiful Point Cook two-storey house, we have rooms to rent, each consist of: - Single bed(s) that can turn into double bed(s) - Double built-in mirror wardrobes - Study desk with rolling chair and study lamp - Installed Air Conditioner - Central heating/cooling system All bills (unlimited wifi, electricity, gas, water) included. Transportation is easily accessible with bus stop 1min walk away and Williams Landing station 3min drive away. Point Cook Town Centre is only 10min walk away (Woolies, Aldi, restaurants, cafe, gym, pharmacy, medical centre, dentist, etc). The rooms will be available around start of February 2019. Please deposit if you would to reserve the rooms.